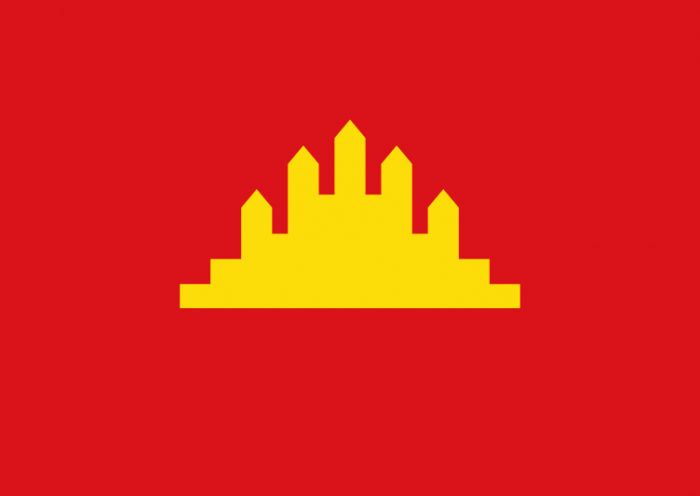 Vỡ Xương was born on 8 December 1942 in Hải Dương, a province to the east of Hanoi. While not a full-time artist, Xương’s father painted funeral portraits on a commission basis. Xương admired his father’s skill and it was the earliest memory of him being inspired by art. As a child, Xương also collected comic books, which he imitated in an effort to improve his drawing. From then on, Xương sketched and drew throughout his life, both as a hobby and as a commissioned artist. Because of his gift for painting and drawing, government institutions and private individuals used his talent as an artist, which kept him employed throughout his life. However, Xương did not receive any formal artistic training until after Liberation in 1975. Xương started working as an electrician for the newspaper Liberation (Giải Phóng) early on in his life until he joined the army in 1964. He enlisted as a normal soldier assigned to Division 312, which was later renamed Division 7. From February 1966 to October 1966, Xương travelled to South Vietnam (đi B). He travelled by train from Hanoi to Quảng Bình Province and, from there, he walked at marching speed (hành quân thần tốc) down the Hồ Chí Minh Trail to Phước Long Province and an area that he described as “the sacred forest of poisonous water (rừng thiêng nước độc)” in Military Zone 6. While there, he submitted drawings to the military zone’s newspaper (Báo quân khu). Xương was involved in the Tết Offensive in 1968. 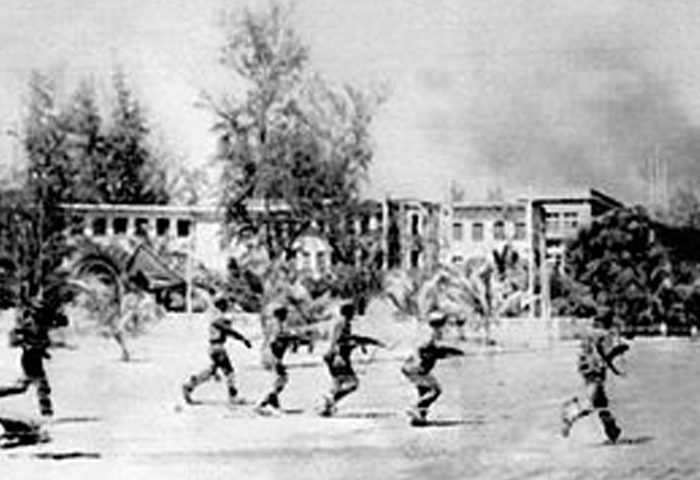 Although the majority of the fighting during the Tết Offensive occurred within Saigon, he and his unit were based in Bình Thuận, a coastal province to the east of Saigon. However, Xương travelled extensively with his unit on foot between the southeastern provinces of Bình Dương, Tây Ninh and Đồng Nai in coordinated attacks against US forces. At this time, Xương could not paint due to the violence of the conflicts he experienced. From 1972 to 1974, Xương and his unit were sent to fight in the Nguyễn Huệ Campaign, using Route 13 as a direction of attack along the Ho Chi Minh Trail, travelling from the south as far as the 17th Parallel. 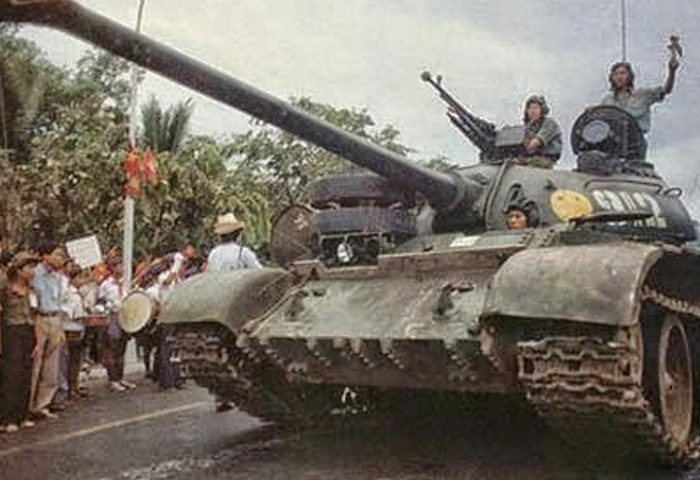 During this time, Xương’s military duties included organising the logistical transport of weapons and wounded soldiers to and from battlefronts. It was then, however, that he found time to paint during his free time, not as a commissioned artist but for himself. In order to do this, due to the lack of materials, Xương improvised in a number of ways to collect materials to paint and sketch. Sometimes, after being selected to decorate various meeting halls and conferences for the army, he was supplied paper, colours and pens. Although, when these resources were not available, Xương mixed medicines with water to make colours: he used iodine for red, crushed malaria tablets for yellow and ink for blue. In these austere times, he collected what available unmarked paper there was that littered various battlefields to paint on. Like many other artists who only had backpacks to store their works in, Xương lost many of the pieces he made during this time. Xương also submitted various drawings to military magazines. His painting The North (Phía Bắc) was printed by Military Arts and Literature (Văn Nghệ Quân Đội) in 1972. When he sent the original paintings to North Vietnam, they were lost after publication. From1973, Xưởng sent his sketches to and kept them at the Political Department (Cục Chính Trị) in South Vietnam where he worked. In 1974, after being promoted to Lieutenant, Xương was posted to the eastern office of the Cultural and Political Department of the Liberation Army of South Vietnam, until liberation in 1975. Here, Xương was in charge of cultural activities in the region, sometimes teaching those who supported the resistance movement, and continued to paint in his spare time. Xương met an increasing number of artists who travelled south at the end of 1974 and the beginning of 1975 to take part in the Spring Offensive, where he was able to acquire Japanese watercolours and epoxy paints that allowed him to improve his paintings further. 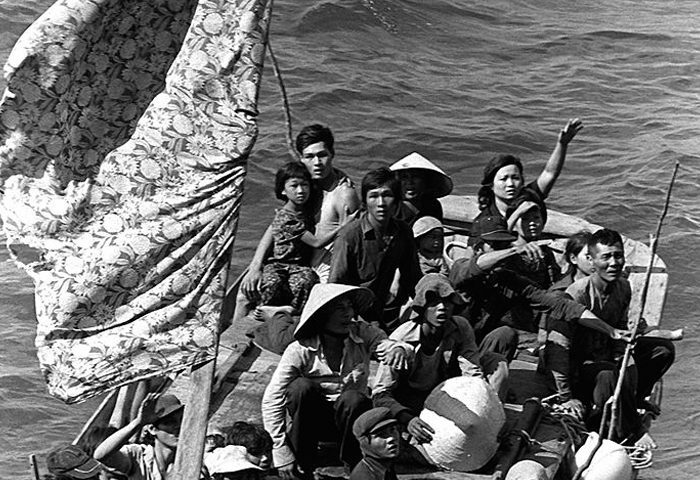 After April 1975, when the country was reunited, many artists moved to Ho Chi Minh City from the north. They brought new art materials like gouache as well as a renewed concentration on the arts. It was during this time Xương was sent to enrol in the Ho Chi Minh Fine Arts University by the army, an experience he thoroughly enjoyed despite the hard work; Xương returned to the eastern office of the Cultural and Political Department of the Liberation Army of South Vietnam to work for the army during summer vacations. Some of his teachers at university included Hoàng Tâm, Huỳnh Phương Đông and Phước Sanh. Xương humbly admitted that his teachers told him he did not need to complete a full course because of his pre-existing skills, but Xương insisted on taking the course until the end. In 1979, Xương began a prolific career creating government commissioned propaganda pieces for the Department of Culture, which he continued until 2000. He graduated the Hồ Chí Minh Fine Arts University in 1982 after completing a full six-year course. After his graduation, Xương remained in the army with Diviosn 7 until 1990. He worked as Head of the Department of Politics of the Cultural House of the Military Zone. 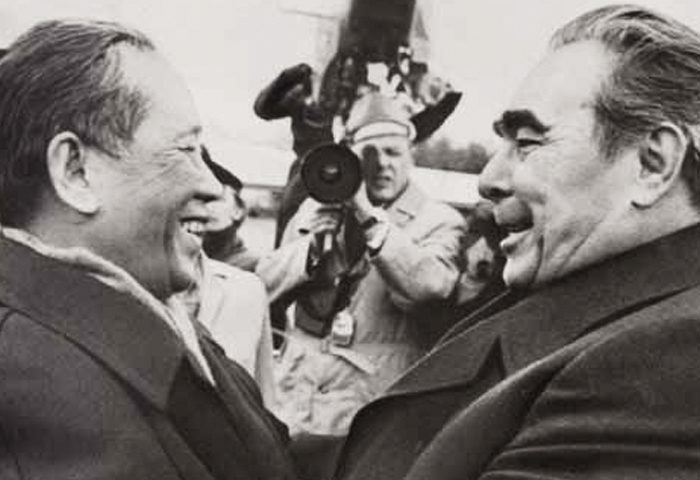 He played an administrative role and managed film activities, cultural training activities and art movements. He retired from the army in 1990 with the rank of Lieutenant Colonel. Unbelievably, Xương has never held a solo exhibition despite being included in numerous group exhibitions around Vietnam. Vỡ Xương lives in Ho Chi Minh City. Portrait of Vỡ Xương taken from an article in Trân Văn Nghệ. 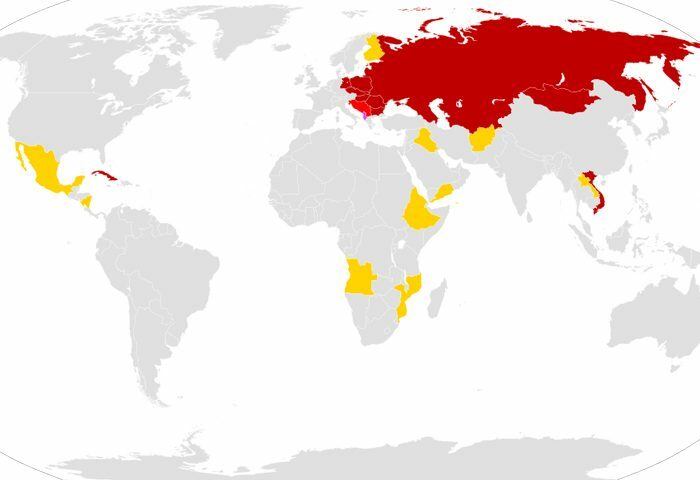 The location of which is still a military secret.